It’s the obstacles, challenges and unexpected opportunities that truly lead you to discover your higher calling. For Debbie Lynn Grace, the road to her purpose felt like an unconventional route. While she ended up on a path she had never envisioned for herself, she is grateful her soul took her on this journey that has transformed lives of hundreds of thousands of people worldwide for the past thirty years. Debbie started her professional career in the direct marketing industry in the early 80’s where she was an Account Supervisor overseeing multi-million dollar direct mail campaigns for clients such as Citibank, Hewlett-Packard and Wells Fargo Bank. In 1991 she became Vice President of Marketing for a 4.5 billion dollar Financial Institution in Chicago. The corporate environment was never Debbie’s great joy. She yearned to be on her own and the creator of her own path. She left the bank and in 1994 moved to St. Louis to start her own marketing consulting business, Source Communications. A few months after starting her fledgling business, Debbie went through a life changing painful event. Desperate to heal her emotional pain, Debbie turned to her old sister, Lisa, for support and guidance. Lisa was a very gifted healer and energy worker. Lisa gave Debbie prophetic advice that would forever change Debbie’s life and unknowingly put her on the path of her true soul’s purpose. Lisa advised Debbie to learn a form of energy work called Flow, Alignment and Connection™ in order to help with the emotional healing. For the next two years Debbie continued to grow her marketing consulting business by day. At night, she learned how to track energy flow and identify where there is a lack of flow in a person or situation and dissolve the energy block so that a transformation would happen. It was through this energy practice Debbie discovered she had a very powerful intuitive gift that she began to use in her consulting practice. She was able to identify the energy blocks in her clients’ business and give her clients very specific strategic advise that removed the energy blocks and aligned their business in the market place. In 2004 Debbie published her book, Outrageous Business Growth. By then her business following had expanded worldwide as she crossed the globe to show people how to accelerate their sales growth. Then in 2005 Debbie suffered a devastating loss when her sister, Lisa, passed away suddenly. Lisa had gone to sleep and never woke up. Through her grief, Debbie resolved to listen to her own inner guidance and step up her world service. She started to teach personal development programs along with her business growth classes. As the years progressed, her inner voice kept getting stronger and stronger guiding her to move beyond business and integrate her professional and spiritual calling. In 2014 Debbie changed her name from Debbie Bermont to Debbie Lynn Grace to support the path of expansion she was being called to follow. And in 2015 she changed her business name from Source Communications to Debbie Lynn Grace International. Today Debbie is a Transformational Leader, Author and International Speaker. She works with high level, influential people from all walks of life, across a variety of industries make a greater impact in the world. 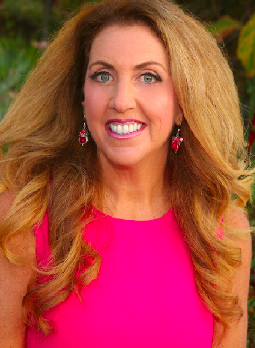 Debbie is past President of the San Diego chapter of the National Speakers Association. She is also a contributing writer to five other business and personal development books besides being the author of Outrageous Business Growth. And she is published and quoted in over 200 newspapers, magazines and online publications worldwide on business growth and personal development in industries including: hospitality, financial, restaurant, spa, fitness, holistic health, food, construction, home remodeling, nonprofit and real estate. For the last 24 years, she has spoken at business, leadership and personal development conferences around the world and is frequently interviewed in the media. Debbie’s online business and transformational programs, live events and speaking engagements have impacted hundreds of thousands of people worldwide. If you would like more information about working with Debbie privately, interviewing her or hiring her to speak at your next event, please click here to contact us. I'm truly grateful for the impact Debbie has had on my life. Debbie has a way of telling stories that captivates me and leaves me seeing with perspectives I either didn't see or had forgotten. She has helped me release several blocks that had me in behavior patterns and loops that were exhausting me. Debbie has been instrumental in guiding me through a year of real growth, challenge, and release. It's like she taught me to breathe again. I have worked with Debbie over the years and she has helped me in many aspects of my life. To live a successful life you want to be well rounded and in alignment in every area of your life. And that is what Debbie has done an incredible job in helping me to do. Being in alignment in my spiritual, my mental, my physical, my relationships and also helping me grow my business by 1000's of percent. I have hired many professionals over the years that have not gotten me the results I wanted. Debbie has always helped me get incredible results. I go back and listen to the advice she has given me and it always applies to the situation at that moment. Debbie is the real deal and can help you get incredible results and live the life of your dreams. Debbie your continued stewardship is so appreciated. You've given me tools to conquer many things and become the person that I am. I firmly believe in everything you say and I hang on your every word. You are my guiding light. The tools, resources and exercises Debbie puts at our fingertips are beyond expression. I have had breakthrough after breakthrough. Now the whole universe has opened for me. If you have an aspect of your life with your relationships, your business, your relationship with yourself or your relationship with your children and you're not where you want to be, there are barriers and it's blocking your way from the life you were meant to live in abundance, in harmony, in joy. So if you are lacking in any of these areas you have to see Debbie.